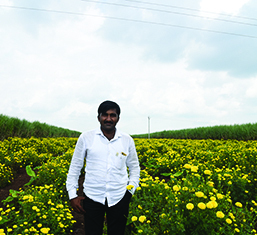 The 9th of every month is a significant day for Digital Green as is the case for thousands of pregnant women in India since the launch of the Pradhan Mantri Surakshit Matritva Abhiyan (PMSMA) on June 9, 2016. With a vision of providing quality maternal care services to the women in our country, Ministry of Health & Family Welfare (MoHFW), Government of India launched the PMSMA in 2016 which aims to provide assured, comprehensive and quality antenatal care (ANC), free of cost, universally to all pregnant women on the 9th of every month to ensure that every pregnant woman receives at least one check-up in the 2nd or 3rd trimester of pregnancy by a doctor at the designated health facility. On this day, the pregnant women can also get all the relevant tests along with ultrasonography to ensure safe pregnancy and tackle any high-risk situation. The PMSMA events witness a huge footfall of pregnant women who want to avail the comprehensive ANC, which also leads to a long‘waiting’period. We wanted to take advantage of this time to disseminate community videos among pregnant women from the rural communities. 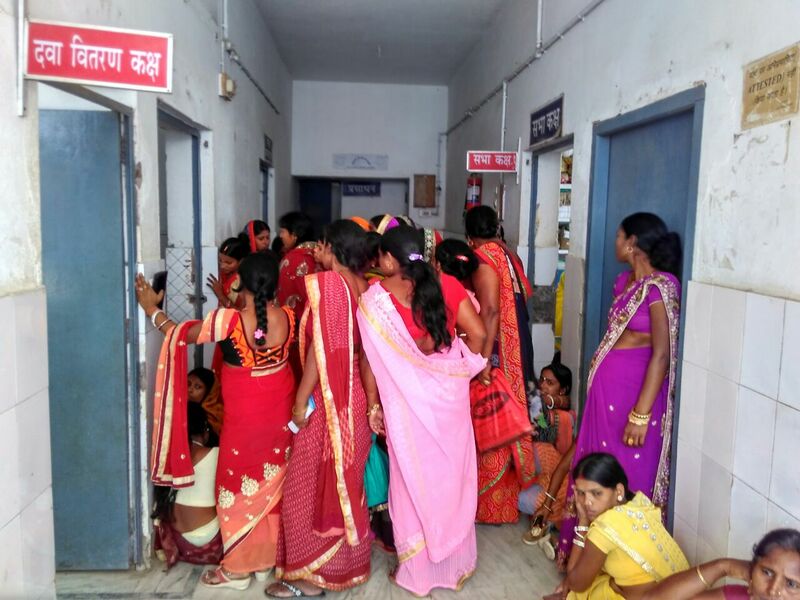 For instance, on the 9th of May 2018 nearly 270 pregnant women of Parbatta block, Khagaria district reached the PHC for their ANC during which our team was able to disseminate the videos on ‘Importance of IFA tablets’ and ‘diet diversity during pregnancy’. 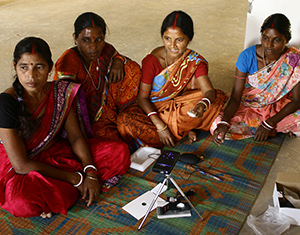 Under our USAID-funded project Samvad, we aim to improve family planning, maternal child health and nutritional outcomes in 6 states of India, namely, Bihar, Chhattisgarh, Jharkhand, Odisha, Uttarakhand and Assam. (Read more about the project here.) 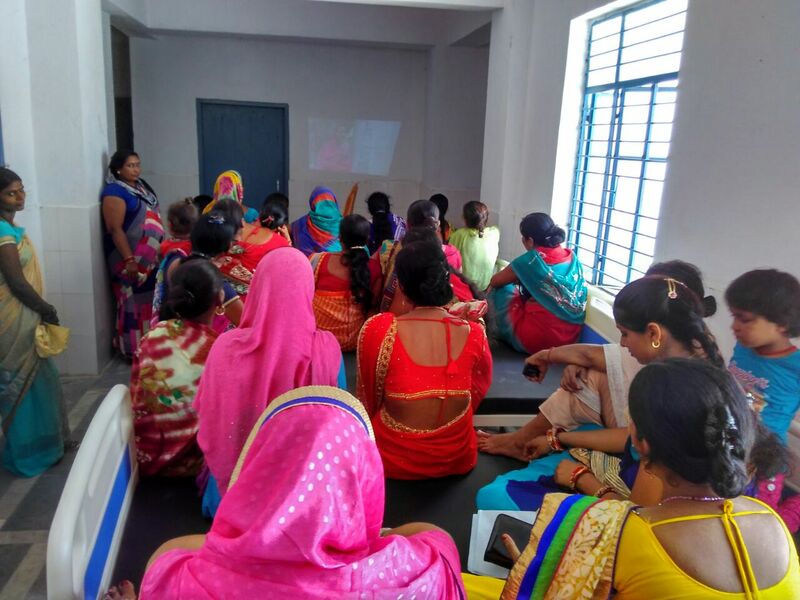 In Bihar, we had been leveraging our existing partnership with JEEViKA to reach a broader audience that would include not only our primary target beneficiaries (pregnant and lactating women) but also the influencers as well through self-help groups (SHGs) or Voluntary Organizations (VOs). However, we realised that we would need to target our audiences more effectively to optimally reach the beneficiaries. With that objective, we started exploring various ways of reaching our target audiences in a more deliberate manner through the Anganwadi centres on Village Health Sanitation and Nutrition Days (VHSNDs) – another interesting initiative by the Government of India – focusing on improving maternal and child health and nutrition. Further, we had an opportunity to discuss our project with Dr Dinesh Baswal, Deputy Commissioner, Maternal Health, MoHFW who first mentioned the window of opportunity – the waiting period at the PMSAMA day – for the dissemination of our localised videos. Further discussions with Dr Phuleshwar Jha, State Program Manager – Maternal Health, State Health Society, Bihar Govt., opened up the possibility of engaging with the community through the platform of PMSMA. We received enormous encouragement from him and his team in Nalanda, Saharsa and Khagaria as well as that of the Health and Nutrition Manager, JEEViKA at the districts and also other partner organizations such as Project Concern International who helped us build upon their existing relationships with the staff of hospitals where these camps are often held. At the PHC centre at Parbatta block of Khagaria, I was very impressed by the entire process and attention to d etail that marked the success of the program. There were pick and drop facility by the 108-ambulance provided to pregnant women coming from distant places; the pregnant women were accompanied by an ANM/ASHA for the PMSMA day; at the health facility, the process was made smoother by having two counters each for registration and collection of blood samples; an ANM played a pivotal role by collecting the vital information about the pregnant women and providing counselling around the do’s and don’ts during pregnancy. For us, this was great opportunity to disseminate our videos while the pregnant women and their family members were waiting for their pathology reports and follow up consultations with the doctors. The ANMs and ASHA workers helped us gather pregnant women in a hall within the hospital premises where the video dissemination was conducted in groups of 50 at a time. This occasion was also used to explain the importance of nutrition, family planning, institutional delivery and breastfeeding up to the age of six months by the ANM. After the video dissemination, we gathered feedback from the pregnant women and their family members about the videos and they found the videos to be very engaging and informative. They also felt the practices shared were easy to adopt and requested dissemination of such videos in their villages in future. The opportunity to connect directly with this group of pregnant women within such a controlled environment with life stage-specific targeted messages – I am hopeful – will truly bring about the behaviour change we are aiming for. A must read … very informative.